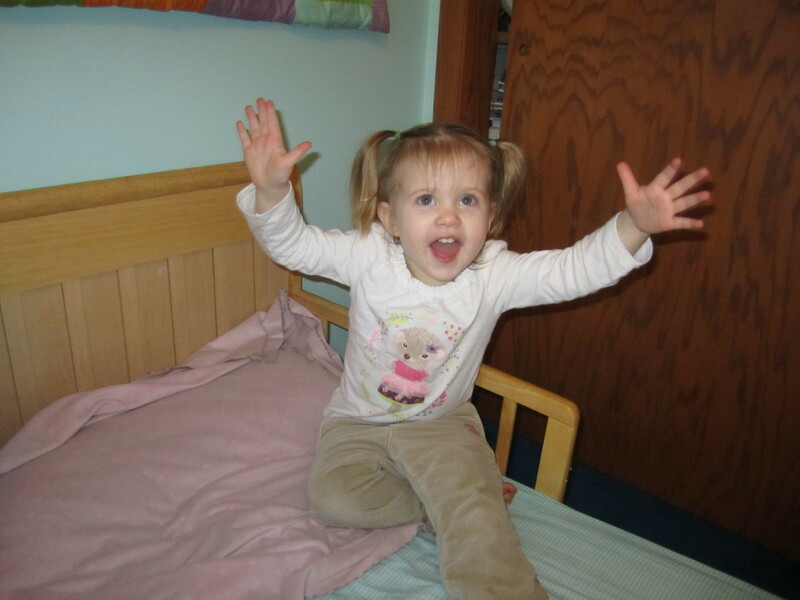 Posted 1.11.14 by SquirrelBug115- Wanted: Roommate to fill the empty crib in my room. No need to have your own furnishings, everything needed is provided. No need to bring your own clothes either, those will be provided as well. Must like robins egg blue colored walls, guitars by the sea music CD, be a boy and ready to grow up being fussed over, well loved and played with. Preferred to have a pre-established love for Blue’s Clues and the Backyardigans but those will develop as a direct result of your surroundings so this isn’t a requirement. 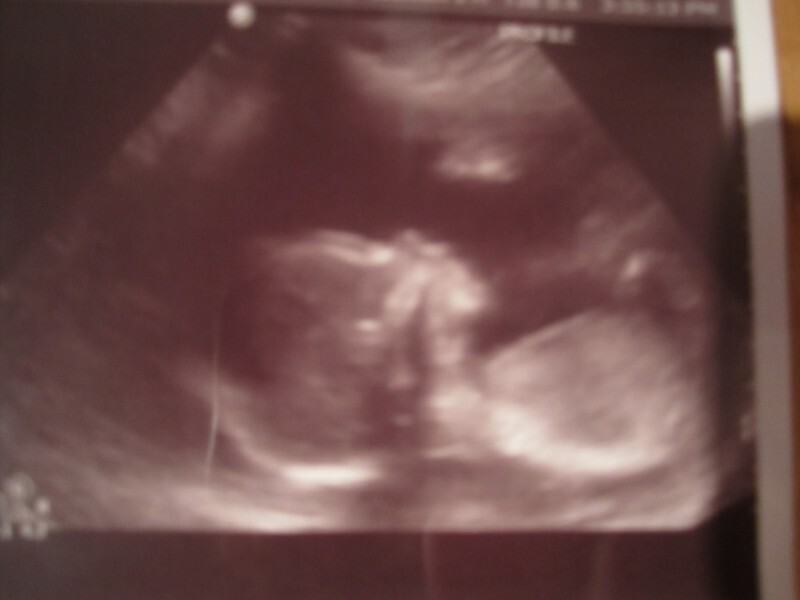 So this is what we did this weekend – prepared for the arrival of our little man (seen here making his blog debut!) 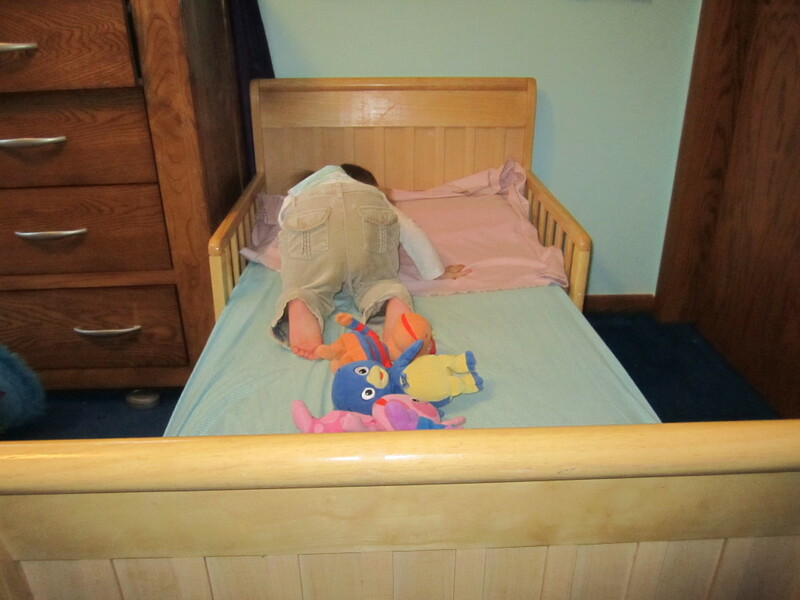 by getting a dresser brought into the kids room and the bigger deal – vacating the crib! 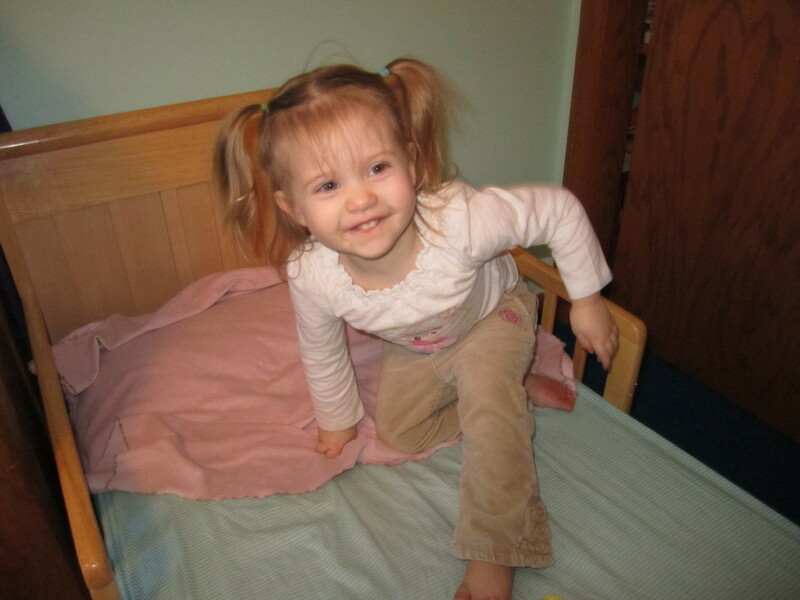 That’s right ladies and gentlemen, our Siglet has moved from her crib into her very own big girl bed! But we moved her Saturday and as of today (Monday) we are still in it and improving! So that’s good. We had her help us move the mattress from the crib to the bed and then had her help us get all of her friends (stuffed animals) and put them all in her bed. We even got her a Blue’s Clues bedspread for her big girl bed, it’s a twin size so it’s huge on her bed but she was excited when we did it in the afternoon. Then the night came and the excitement was gone. Like, left the building in a where’s-the-fire hurry. Needless to say, she didn’t take it too well the first night. I was in there 6 times the first night, Patrick went in 2 more times and 1 time she put herself back to sleep so that’s a plus, right? Right…. On the bright side, every time she was crying for me (and I mean like the terribly pathetic, heartbreaking “MAMA!!! !” cry) she was sitting on her bed still so that’s a plus. She kept telling me she wanted “another light” on the little table by her bed as the nightlight was across the room. So I made that my mission yesterday to get that squared away (successfully I might add). Nap time went ok yesterday but she didn’t sleep very long. All and all though, she’s a champ. This is just one more step towards being a big kid. She’s reminding me daily that she’s a kid now, even by just coming up to me while I’m writing this, putting her empty chocolate milk cup next to me, going to the pantry, opening the door, getting out the Quik powder and bringing it to me saying “More please”. I put the scoop into her cup, gave her back the Quik, she returned it to the correct spot in the pantry, closed the door, and waited for me while I poured the milk in at the fridge. When I spilled she got me a towel to wipe it up, said “All better” (which sounds more like “all bubba”), reminded me to shake it and said “Thank you Mama” as she walked away with her cup. She’s amazing. I adore this kid. This entry was posted in Firsts, House, Nursery, Our Family, Signe, Talking, Waiting for Baby. Bookmark the permalink.